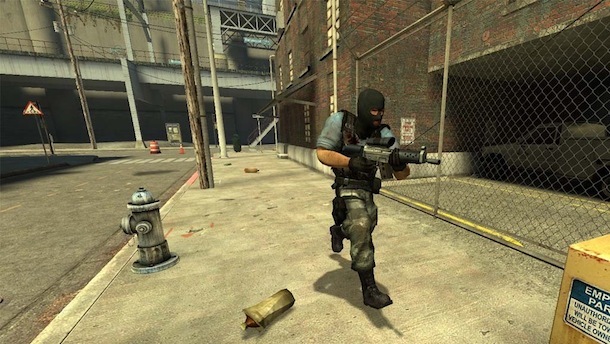 Counter-Strike Source (CSS) was released today for Mac users via the Steam client. Dubbed as the “Worlds #1 Online Action Game”, Counter-Strike features highly competitive multiplayer and team-play shoot-em-up action. Fire up the Steam app and you can download Counter Strike right now for $6.80, which is 66% off it’s standard $20 price tag. The newer your computer the better CSS will run, but official system requirements to run Counter Strike on your Mac are as follows: OS X version Leopard 10.5.8, Snow Leopard 10.6.3, 1GB RAM, NVIDIA GeForce 8 or higher, or ATI X1600 or higher, Mouse, Keyboard, Internet Connection. You can see more screenshots and get more information about Counter Strike for Mac at the Steam Store. Autocad is also in beta… hope that it comes out soon… than i don’t need Windows anymore! And…. it has a new interface with new features… when you get killed, points etc. looking good! « iPhone 4 Reception Problems: Dropped Bars & Calls if Antenna Touched?